ISC Board 2019 Question Paper - Council For The Indian School Certificate Examinations has release the official question paper of Chemistry – Paper 2 (Practical) of 2019 examination that was held on 07 Feb 2019. Get free PDF download and preview of the 2019 final board examination question paper. 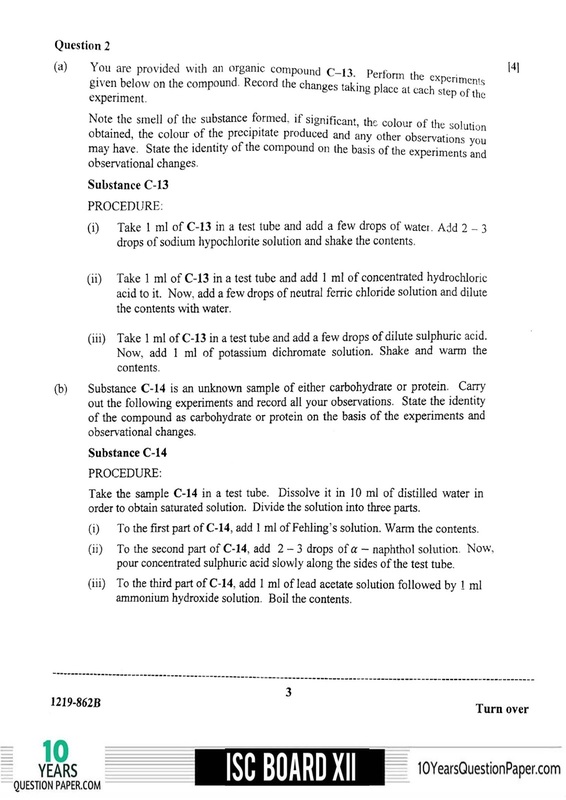 ISC Chemistry (Practical) Question paper for class 12 of 2019 exam. The previous year question paper of 2018-2019 exam of Chemistry – Paper 2 (Practical) was of 30 Marks and in which students were asked to perform three experiments for 7, 4 and 4 marks respectively and another 15 marks was for project and Chemistry practical files which students need to show to the examiner. 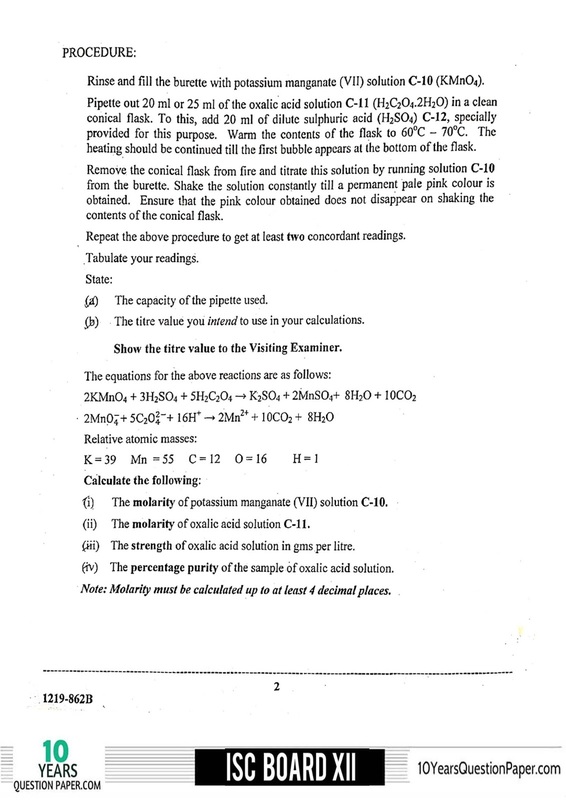 Question 1 Is an oxidation-reduction titration in which sufficient working details are given. All essential working must be shown. Question 3 is an exercise in qualitative analysis. 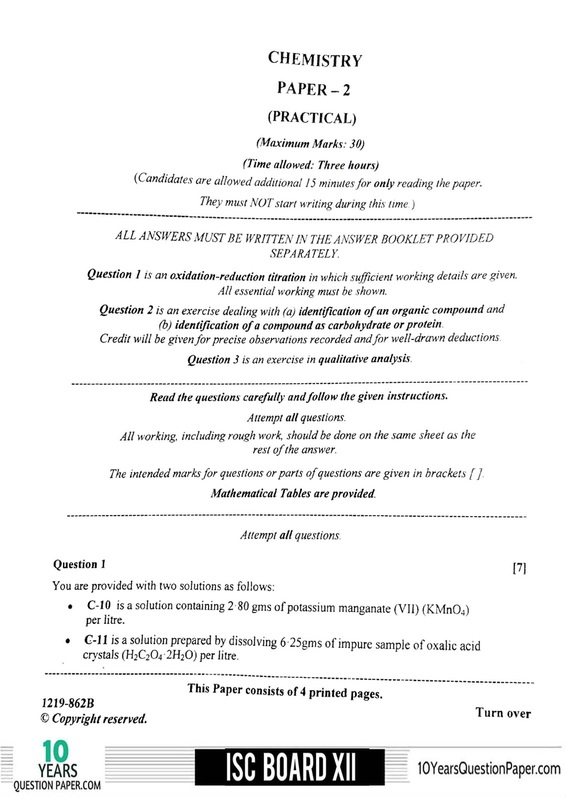 This was the three experiment asked in the 2019 ISC Chemistry paper 2 practical examination. Download the ISC Chemistry Practical 2019 question paper for class 12. So have you started solving the ISC previous year 2019 Chemistry – Paper 2 (Practical) question paper?